She had been out shopping and had stopped to listen to the speakers at the protest. Speakers like Ibrahim, who grew up in Gaza with family still there, like June, of the Scottish Palestinian Solidarity Campaign, who read out a poem written earlier that week by a young mother living in Gaza, who got a phone call from “someone who knew my name” warning her family that their home would be bombed and to leave; speakers like seasoned trade unionist, Brian, who wept when he heard of the killing earlier that week of the four little boys playing football on the beach. What can you do in the face of an Israeli state that thinks it is acceptable to bomb schools and hospitals and ordinary people’s homes? 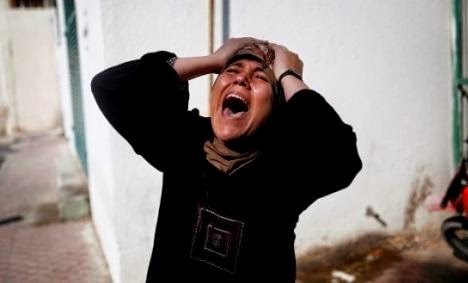 An Israeli state that in two days this week, killed one Palestinian child every hour? Where censure of this behaviour is notable by its absence from the big Western powers, including our own? Where the UK continues to buy and sell arms to Israel in a business that is said to be worth £12.5m? Where ordinary people in this country and others hardly get to hear of the real suffering of the parents who have lost their children, the families who have lost their homes, the children afraid to go to sleep at night for fear that they will never wake up? Who beg their parents to reassure them that they will not die? Because the coverage by the BBC and others (Channel 4 is an honourable exception) is so biased in favour of Israel. Because the media persists in referring to what is happening in Gaza as a war. As if both sides were equal. As if the Palestinian civilians, who number most of the dead, have somehow actively made a choice to engage in the conflict. This is not a war. This is a massacre and is fast becoming genocide. At last the international community has spoken out in opposition at Israel’s actions, describing them as possibly war crimes. But still Israel continues to bombard Gaza, still it kills innocent children, who make up half of Gaza’s imprisoned population. So, yes. A good question. “What can we do?” in the face of such brutality. How can we make ours and other Western Governments take action to stop Israel in its tracks? This is not about negotiating cease fires - though that would be good. This is not about both sides taking equal responsibility. This is about telling Israel to stop. Stop killing civilians, stop bombing hospitals, schools, homes and children. Stop visiting collective punishment on the Palestinian people. Stop breaching international law. Stop committing war crimes. Stop this war on children. So what can we do? It is so easy to feel powerless and to wonder if anything we do does make a difference. Then I am reminded that it wasn’t the actions of governments that ended South African apartheid. There was no Government censure of South Africa back in the dark days of apartheid. The support for Nelson Mandela and the ANC, the support for sanctions, came from ordinary people, in Scotland, in the UK and around the world. That is what made the difference and that is what we need to do and to keep on doing now. Who will speak up about what it is like for ordinary people in Gaza if not ordinary people in Scotland and across the world? So I said to the woman, “Come and join Scottish Palestinian Solidarity Campaign. Write to your MP and MSP. Tell your friends what is really going on. 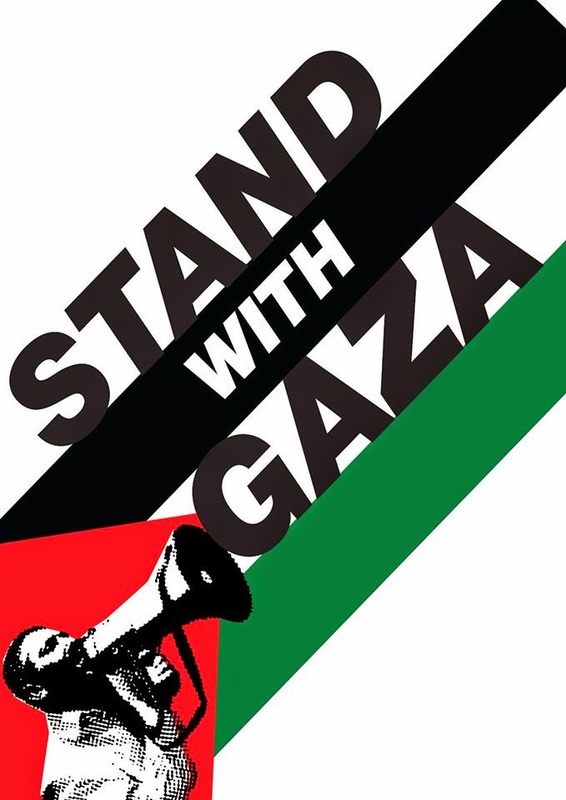 Speak out about the suffering of the Palestinian people wherever and whenever you can. 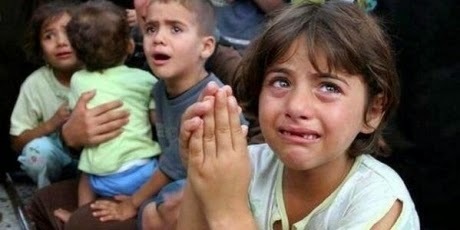 Tell them about the killing and the injuries and the terror that children live in. And join us here next Saturday, and the Saturday after, for as long as it takes to show our revulsion, our utter outrage at Israel’s war on children. Until it ends. A place to share the writings that spill out from time to time when I feel strongly about something. Written from the perspective of a social worker and trade union activist, passionate about children's rights and social justice. All views are my own.